The stand-off at the asylum seeker detention centre on Manus Island has created a predictable crisis with no clear long-term resolution and potentially serious consequences for Australia-PNG bilateral relations. Hundreds of refugees continue to barricade themselves in at the Manus Island detention centre in protest at being forced to leave what they believe is the only safe place for them. There is no food, water or power available in the centre. Although the stand-off may come to an end when those protesting cannot endure any longer, it’s by no means clear what the future is for the refugees in Papua New Guinea. The Minister for Foreign Affairs, Julie Bishop, has assured the asylum seekers that there are essential services available at alternative accommodation in Lorengau and urged them to leave the detention centre. But many questions have been left unanswered by both the Australian and PNG governments, compounding the despair of the refugees. The UN has said the new accommodation is not yet ready. And even when that accommodation is ready and the refugees move, what then? Is this accommodation a permanent arrangement? How will the refugees be eventually settled into PNG society when most of them do not want to be there? For how many years will the Australian government provide accommodation, food and health services? How many refugees will be relocated to the United States? What happens to the asylum seekers found not to be refugees? How will the refugees be paid the $70 million in compensation owed them following the Australian government settling a class action lawsuit? When prime ministers Kevin Rudd and Peter O’Neill signed the Regional Resettlement Arrangement in Brisbane in July 2013, it is unlikely that O’Neill thought he’d ever have to accommodate the asylum seekers long-term or indeed to help those found to be genuine refugees settle in Papua New Guinea. Bear the full cost of implementing the arrangement in Papua New Guinea for the life of the arrangement. O’Neill believed he was doing Prime Minister Rudd a favour and would not have to bear any costs to the PNG budget or deal with any serious consequences from the deal. Kevin Rudd said recently that he expected the asylum seeker centre in Manus to close three years ago. While that is not what he said to the Australian public in 2013, it is quite likely precisely what he said to Prime Minister O’Neill in private. But the detention drifted on with no end in sight until the PNG Supreme Court ruled in April 2016 that the detention of asylum seekers on Manus breached the rights to liberty enshrined in the PNG constitution and ordered that detention be ceased. After a further 18 months, Australia is closing the detention centre but has muddied its relationship with Papua New Guinea and tarnished its reputation. Papua New Guinea, Australia’s former colony and nearest neighbour, matters. Australian economic and security interests in Papua New Guinea are extensive. PNG is Australia’s 18th largest trading partner and Australian investment in PNG is worth almost $18 billion. The 2016 Defence White Paper places a high priority on Australia’s defence relationship with PNG. After a secure Australia, the white paper identifies Australia’s second strategic interest as a secure nearer region, including Papua New Guinea, and says Australia will continue to be its principal security partner. The white paper also asserts that “geographic proximity means the security, stability and cohesion of Papua New Guinea contributes to a secure, resilient Australia with secure northern approaches.” PNG is also the single largest bilateral recipient of Australian aid. The government of Papua New Guinea and people of Manus have done the Australian government a very great political favour in accommodating asylum seekers and refugees with no clear long-term plan in place. 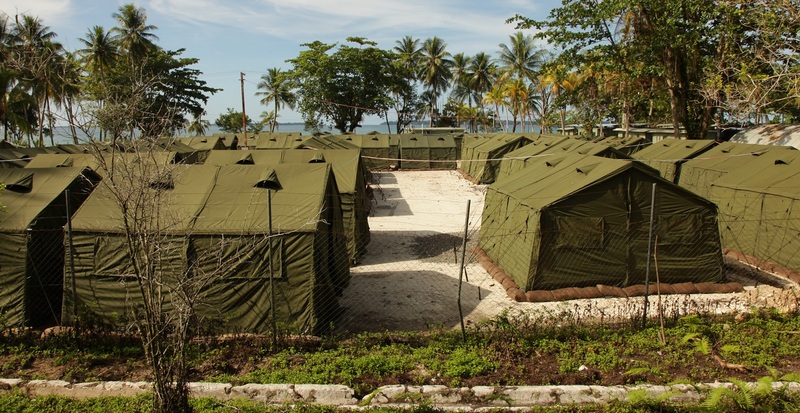 The Australia government has been meeting the costs of maintaining the detention centre but is now at odds with the PNG government on which bears responsibilities for the refugees and unsuccessful asylum seekers. Given that PNG is in the midst of a budget crisis and cannot afford to keep hospitals open or pay teachers, it is hard to understand how Canberra can be making any demands of Port Moresby. 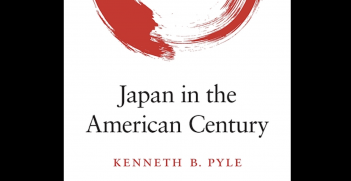 The Australian government’s deal with the O’Neill government has already had several unintended consequences for the bilateral relationship and may yet have more. With Canberra so dependent on the goodwill of the O’Neill government to maintain the centre (even beyond the PNG Supreme Court’s ruling that the centre must close), it has become very difficult for the Australian government to deal openly with challenging issues such as allegations of corruption within the PNG political elite. At a time when Papua New Guinea is facing one of its most serious economic crises and as it prepares to host APEC in 2018, the bilateral political relationship is unnecessarily and unhelpfully focused on refugees from third countries. The aid program has had a heavy focus on Manus as part of the arrangement between the Australian and PNG governments. While there is little doubt Manus needs assistance, there is an argument that the needs of many other provinces are just as great and as deserving of Australian aid. The next generation of leaders in PNG—whom Australia should be cultivating and who are generally well-disposed towards Australia—are very critical of Canberra’s approach to the refugees and asylum seekers. In an era where other international partners, including China, are actively courting not only the PNG government but its people with various forms of soft diplomacy, Australia cannot afford to be losing the public relations game. The Australian media has focused on activities in Manus at the expense of much-needed attention on more critical issues affecting our nearest neighbour. Even the sole foreign correspondent in PNG, the ABC’s Eric Tlozek, has to spend more time covering Manus than he does on significantly more important national issues because of the perceived public demand for news on the refugees. The situation in Manus is a humanitarian tragedy that is of course felt most acutely by the refugees and asylum seekers living in uncertainty. It’s also a thorny political problem for Australia and PNG that is unlikely to end well for any of the players. It is incumbent on the Australian government to act decisively now to avoid any further damage to its relationship with Papua New Guinea. Jenny Hayward-Jones is a Lowy Institute non-resident fellow and former director of the Melanesia Program at the Lowy Institute. 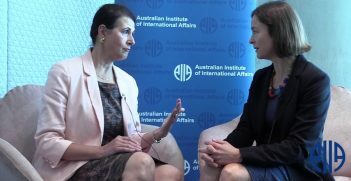 Prior to joining the Lowy Institute, she was an officer in the Department of Foreign Affairs and Trade for 13 years, serving in the Australian missions in Vanuatu and Turkey. Will US Gun Violence Drive Migration to Safe Haven States? Following any major gun violence incident in America, a debate is sparked between two fundamentally opposed sides that eventually fades away with little or no significant policy changes. 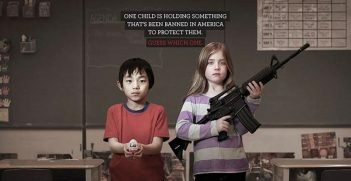 It seems inevitable then that parents will look outside of American borders for safer alternatives. With links between Canberra and Jakarta shifting towards an economic and strategic partnership, it is a time of disruption and opportunity for the relationship. The outcome will help shape the region.